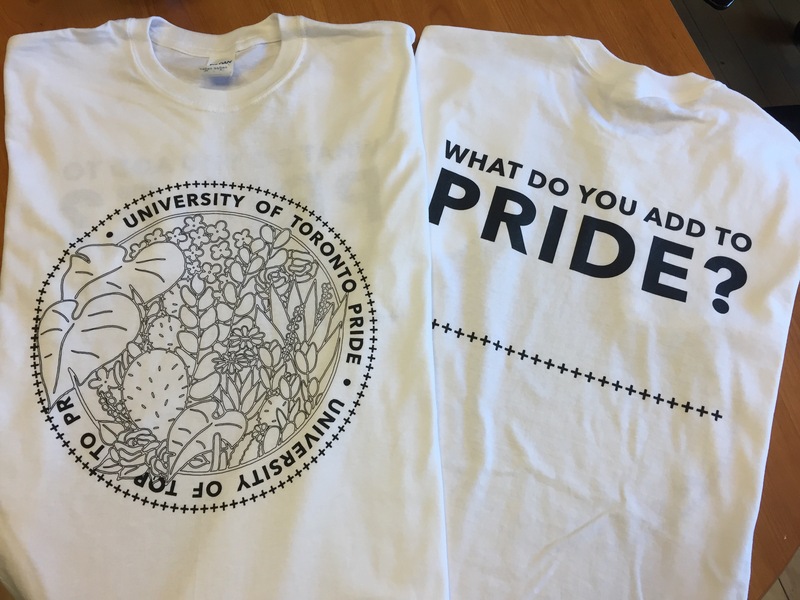 Pick Up Your 2017 U of T Pride T-Shirts! The 2017 Toronto Pride Month is wrapping up this weekend and we are looking forward to marching with U of T in the Trans March, Dyke March and Pride Parade. If you are a student, staff, faculty or alumni who are interested in marching with us in any of these events, you can pick up a free U of T Pride T-Shirt! Just email sgdo@utoronto.ca to arrange a time to pickup your t-shirt either Thursday, June 22 or Friday, June 23. Happy Pride, everyone!